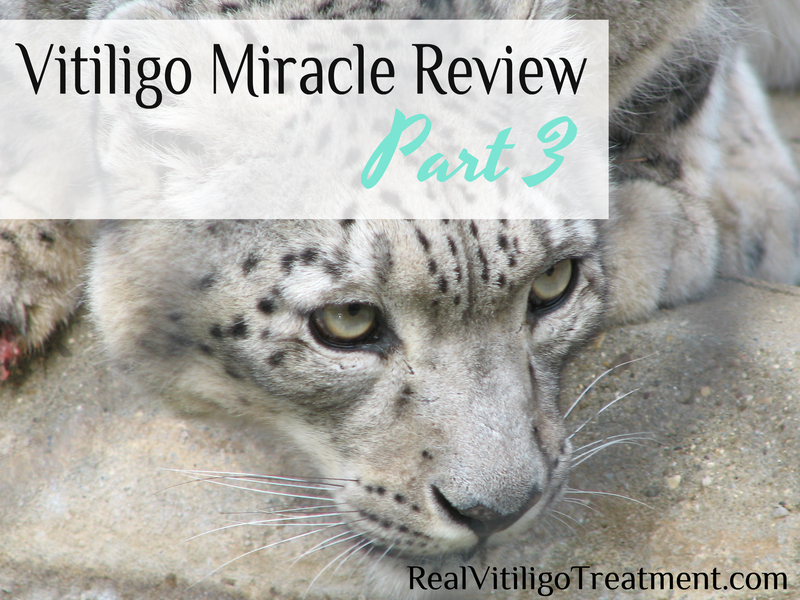 I am back with part 3 of David Paltrow’s Vitiligo Miracle eBook! I’ve been away for awhile, I know. It’s just really hard to keep up with a three year old, housecleaning, and running a blog! Today It’s all about chapters 3 and 4. He starts off this chapter by talking about getting an official diagnosis of vitiligo from your dermatologist and why this is important. He then gets into the signs and symptoms, along with the most common places most of us first notice our vitiligo – and the reason why. Next there is a list of 7 important questions you can ask yourself to determine whether or not you are in fact, suffering from vitiligo. And honestly, all of them are good questions that will get you to think about your life, and give you some clues as to what may have been the trigger for your vitiligo. 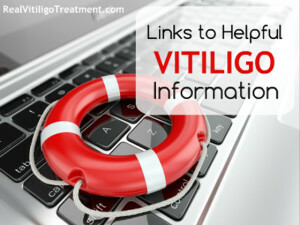 Under the next subheading, Diagnosing Your Vitiligo, he gives a list of some things that your doctor may be looking for when he/she takes your medical history. After reading this I could see that my doctor only considered one of the 7 things listed – needless to say, my doc wasn’t so great. This part reminded me of a post I wrote here. Next he talks about the different tests your dermatologist may conduct. Mine did NONE of these. I remember being very annoyed that my derm didn’t even bother to do any testing and was so matter of fact about the whole thing. The next part is very helpful – He includes a list of specific blood tests you should get. After all of my research I can say that he is right on target with these. 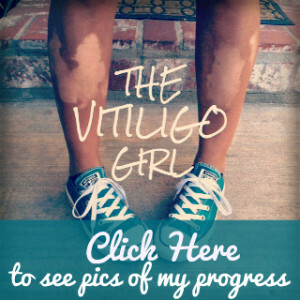 I didn’t know that any of these were related to vitiligo when I first started trying to get control of my vit over 2 years ago, it would have been very helpful to know this at the very beginning. Would have saved me hours of time and money. Oh well, live and learn I guess ;). Moving on, he talks about different types of skin biopsies and why they would be needed in rare cases. He then mentions a specific test I would have never even connected with vitiligo – and would have never bothered with…except that he says that 40% of vitiligo patients have this issue. That’s a pretty substantial amount. In the next section he lists 8 conditions that commonly co-exist with vitiligo, and again he is absolutely correct about all of these. In fact, I had to go back to my doctor for some more extensive testing in order to rule out one of these conditions. If you ask me, it was just a matter of time before I tested positive. That was when I decided I’d better do something about my vitiligo and not be afraid to face it any longer. I really appreciated this section because it really reaffirmed in my mind why it is that I decided to stay away from toxic treatments. He talks about the pros and cons of each and gives you much food for thought. A must-read before you decide on any treatment. He mentions one natural topical option here that I have gone back and forth with, never really sticking with it. But I think maybe I may give it a shot again and really try to be consistent, since it seems to be effective. It’s just that it takes awhile to see results – 9 to 15 months he says. He also covers surgical procedure options in this section, although I am not interested in any of these. Still, it’s a very informative section, so if you are interested in surgery, this section is definitely for you. He ends this chapter by saying that there are “safer – and often more effective – alternatives offered by nature itself.” The next chapter reveals this and is entitled, The 5 Step Vitiligo Miracle System for Reversing Vitiligo, and this is what I will cover in my next post!